Found yourself standing outside the party of the century, looking for a way in? You and every other player of this five-reel, 243 ways-to-win slot from Relax Gaming, where the diamonds are sparkling and the champagne is flowing as the celebration inside takes off. 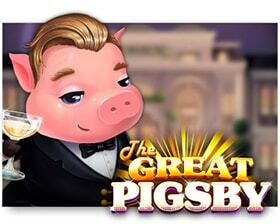 It’s the place to be – and with the Great Pigsby himself standing there winking at you like that, how can you resist? Through the glowing windows of the mansion before you, you can see the silhouettes of the partygoers enticing you inside. The outside is impressive enough, with a red carpet, elaborate balconies, columns and sculpted hedges – not to mention the occasional pig statue in the garden –, so we can’t wait to take a look around the interior. Pigsby will no doubt offer you a drink – in a 1920s-style glass, of course – as you enter, swaying along to the sophisticated soundtrack as you go. The wild substitutes for all symbols and, upon landing, will expand to cover the whole reel and be collected into the piggy bank. Each wild you collect has a chance of triggering ten extra spins (which will finally get you inside the house), or one wild reels respin, where between two and four of the reels turn wild before the other reels stop spinning. During the extra spins round, you’ll be awarded ten spins. 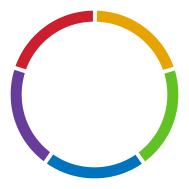 Every second spin, one type of low-paying symbol will be replaced with a mystery symbol that will eventually transform into a mid- or high-paying symbol. The replacement symbol will stay in place throughout the extra spins, so that for the last two extra spins, there will be no low-paying symbols on the reels. Keep an eye out for The Great Pigsby spin, which can be randomly triggered at any time. Pigsby symbols (which, by the way, are the highest-paying, along with Daisy) are placed on the grid for as long as the reels keep spinning, covering the reels with as many Pigsbys as possible. If you’re looking for a way to get rid of the hard work so you can shmooze, simply turn on the autoplay feature and let the game concentrate on bringing home the bacon while you enjoy the party. Ready to rub shoulders with the poshest piggies around? Then come and play The Great Pigsby!